Please see our player page for Domingo Santana to see projections for today, the next 7 days and rest of season as well as stats and gamelogs designed with the fantasy baseball player in mind. 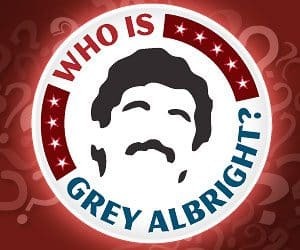 With the season in full swing and fantasy baseball well underway, Grey and I are feeling the early season blues. An off-season of hope and promise has turned into a week of despair. Instead of wallowing in self-pity like a Morrissey song, we hit the wavier wire and talk about some of top adds you should be scooping. Then we let out all the feels as we talk about our FOMO players for the upcoming season. 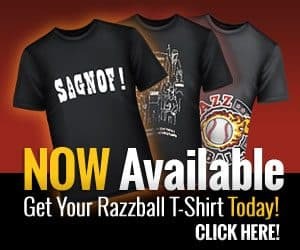 It’s the latest episode of the Razzball Baseball Podcast! When playing DFS and the slate has a game at Coors Field, DFS players on Fanduel have a decision to make. Do they be contrarian and fade the thin Colorado air, or do they chase the chalk up the Rocky Mountains? If there was a time to pass on loading up on a Coors’ game, it might be today. Both pitchers scheduled to pitch in this one have been fairly successful in Colorado. The Braves’ Julio Teheran has pitched in Coors’ Field four times and has yet to allow a home run. In fact, he has held the Rockies to just a .313 OBP, .348 SLG and a .661 OPS in these four appearances. And for the home team, Kyle Freeland has been very successful in Colorado. He had a 2.40 home ERA in 2018, while limiting opposing teams to a .226/.298/.393 slash line in those games. When building cash lineups you may want to pluck a few Braves and Rockies. But for GPPs, fading Monday’s game could give you an edge on the competition. Do you own Trea Turner, he of three steals in one game? No? Then you’re chasing speed with the rest of us. It’s pretty early to go dropping players you drafted for a rabbit with a chance at a steal. However, if you have a free spot put it to use. Like Kanye craving a fair-haired lady lover, we’ll do anything for a save or steal come September. It’s never too early to pad those columns.